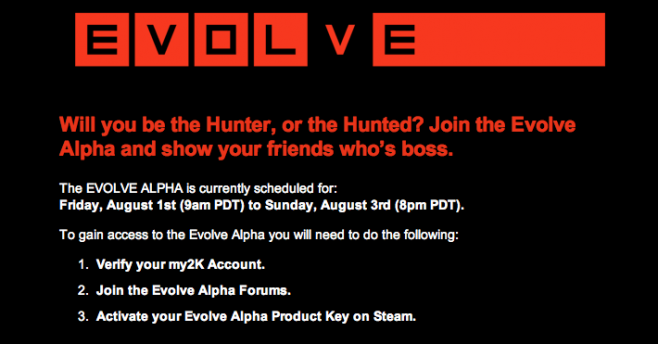 Coming up this weekend is the Evolve Alpha, brought to you by Turtle Rock Studios. The game was wildly popular at E3 2014 and the very large booth saw consistently packed audiences from start to end of the convention. 2K and Turtle Rock Studios have sent out invites to join this weekend; hopefully you’re in! For more on the announcement of the Alpha and for a preview of the game, head on over to Crave’s Game Revolution.